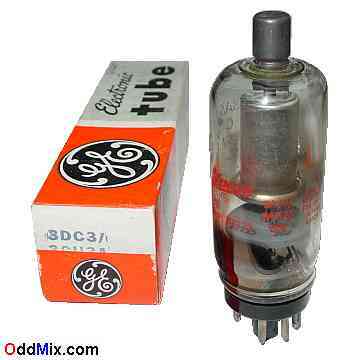 This is a genuine GE 3A3C/3AW3/3B2 Half-Wave Vacuum Rectifier electronic tube is made by General Electric for Zenith in an original GE 3DC3/3CU3 box. Applications for this tube is for high-voltage low-current half-wave rectifier applications, usually in television receivers, RF or high voltage equipments. This is a collectable vintage special vacuum tube. Useful for those antique radio or television restoration projects, high voltage project or to set up a private vacuum tube museum. It is a NOS tube - new old stock, unused, boxed, excellent condition.